I was first inspired to establish the group Liverpool Loiterers a few months ago when I had a fabulous loitering experience in Liverpool with my friend Theo. We spent an entire afternoon wandering around the city centre, exploring the old industrial northern docks and even stumbling across the well-concealed entrance to the Leeds-Liverpool Canal and the Eldonian Basin. These were delights we had never seen before, even after three years in the city. We were sure that many other students and locals must have a similar feeling of detachment from the city and would enjoy rediscovering it anew. Thus, Liverpool Loiterers was born. We, the Liverpool Loiterers, feel that Liverpool is such an easily under-appreciated city and that this is a real shame. It is most well-known for its negative reputation leftover from the 1980s and even modern students living here for three or more years can struggle to fully appreciate its charm. As former students, we spent much of our university years zipping between the campus, the student residential area of Smithdown Road and the clubbing district around Seel Street. Although this was great fun, it really limited our experience of Liverpool. Through chatting to the older residents and families of Liverpool we discovered that many of them had not had the opportunity to explore Liverpool as thoroughly as they would have liked. Liverpool Loiterers aims to change this. 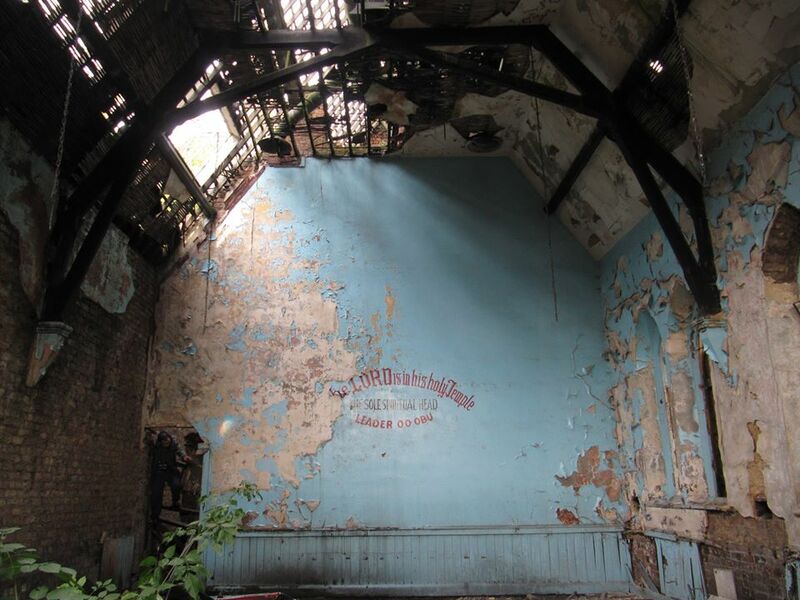 Liverpool has so much to offer; so many places that are hidden so much history and wildlife that is unknown. 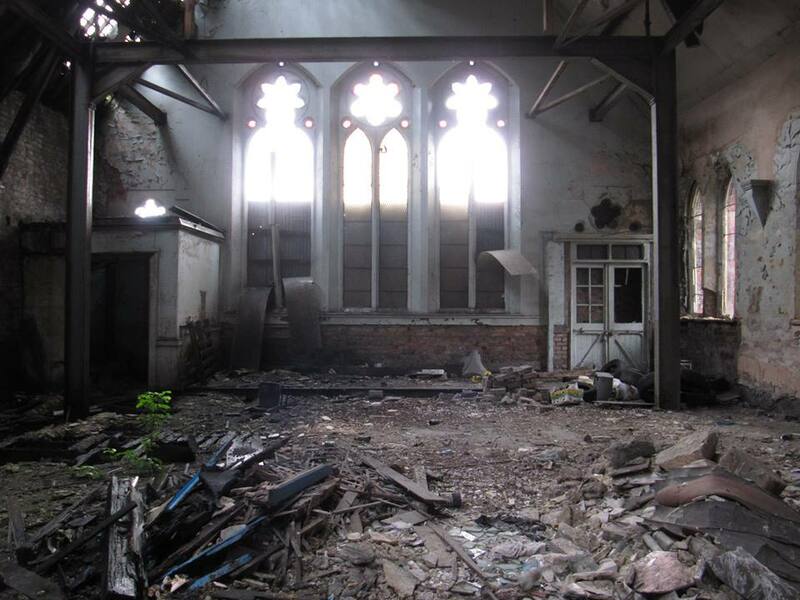 As a group, we explore abandoned and wild places within Merseyside and the surrounding area. We intend to re-appreciate our home and prove that you don’t have to travel far or spend a fortune to find adventure in life. With this in mind, I have organised a variety of free trips to get to know Merseyside better. We’ve had many successful trips; highlights have included the Mersey at sunrise, the northern docks, Crosby beach and city centre street art. We’ve been treated to some amazingly desolate views of the urban decay and industrial heritage of north Liverpool, half-demolished warehouses and metal refineries. But we’ve also seen sublime views of the huge pink sun setting over the waves as an apparent mass-exodus of iron men occurs on Crosby beach. One common confusion about the group surrounds the idea that Liverpool Loiterers is a hiking or tour group. The group does exactly what it says on the tin: loiters. We reject power-walking to a specific destination with heads down, not taking in our environment and relying on a leader to inform us of what is noteworthy. Instead, we wander about slowly, gazing at everything around us and sharing our knowledge and observations of the places we visit. In 1862 Henry David Thoreau wrote about his walking or sauntering, a word which is ‘beautifully derived from “idle people who roved about the country in the Middle ages and asked charity under pretence of going à la Sainte Terre,” to the Holy Land, till the children exclaimed, “There goes a Sainte-Terrer,” a Saunterer, a Holy-Lander.’ He claimed that real saunterers go to the Holy Land in their walks or experience a similar sort of pleasure. So the Liverpool Loiterers aim to saunter and wander just as much as loiter. We believe in the pleasure of walking for the sake of potential adventure rather than with a specific goal or time frame. It is exciting to see multiple groups springing up across the North West dedicated to re-appreciating their environment and rejecting the commercialisation of entertainment. Fundamentally, getting in touch with your own city should be as accessible as possible. So far, Liverpool Loiterers has had lots of positive feedback and suggestions for amazing places to loiter. As well as successful trips the group member numbers have increased rapidly and it is going from strength to strength. We will soon be linking to other organisations full of like-minded urban explorers such as foraging and abandoned places groups. The group is open to everyone so I hope that both newcomers to the city and local scousers will be inspired to join us for future adventure! And who knows – perhaps even more similar groups will soon be emerging from non-Liverpool-residing persons across the country. Liverpool Loiterers are always looking for more people to join them on their ambling adventures around Liverpool. Join the group here, or search ‘Liverpool Loiterers’ on Facebook. All photos pictured here are Charlotte’s, and you can see the original blog post and more of her thoughts on her blog.